Joseph Eye Hospital was the first in Tamilnadu and sixth in India to have the most modern MEL 80 Lasik laser installed. The unique feature of this excimer laser is its capability of correcting even minor corrections with higher prevision and contrast. The software simulates your visual output enabling you in effective decision making. Joseph Eye Hospital being a not-for profit service oriented organization we pass on the benefits to our patient. Lasik surgery, once perceived to be a cosmetic procedure for the affluent people, is now made affordable to every one. The new MEL 80 is the 5th generation excimer laser. Treatment with MEL 80 is very fast with all the technology of Carl Zeiss Meditec involved in this refractive laser system. 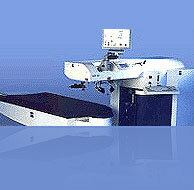 Joseph Eye Hospital was the first in Tamilnadu and fourth in India to have this laser installed. The new MEL 80 is super fast, it shortens ablation time remarkably to the comfort of the patient. The shortened stromal exposure time allows very fast visual recovery. MEL 80 has a new active Eye tracker. Your correction will be placed very precisely without dilating your pupil. Some lasers boast of very fast eye trackers but the response time-which is more important than the rate of tracking- is a lot slower than MEL 80. The new MEL 80 has a very small spot of only 0.7mm with Gaussian beam profile as compared to other excimer lasers available currently. This allows finest corrections even of higher order aberrations without losing the benefit of smooth operated surface. MEL 80 incorporates treatment optimizing tools e.g. improving vision outcome under dim light and at night. It also takes less tissue to do the same correction than previous generation lasers. CRS-MASTER the MEL 80’s improved software easily uploads and connects the MEL-80 systems and the parameters are customized to individual’s eye. Wavefront technology is an additional refining tool used to enhance an already safe and effective procedure. As the most common form of vision correction surgery, LASIK has already benefited millions of patients. The increased safety and the improved quality of vision benefits of customized procedures are an important technological advancement for patients and physicians alike. Until recently, optical corrections have been limited to measuring the best spherical and cylindrical visual errors. The same conventional method of testing is used for prescribing eye glasses, contact lenses and conventional PRK and LASIK procedures. The instrument used to analyze the aberrations is called the “abberometer” The most common technique of measuring is by the Hartmann-Shack wavefront sensing method. The light waves as they come out of the eye are analyzed by an array of microscopic lenses called “lenslets”. The array of lenslets dissects the emerging light to a large number of sub apertures and measures the wavefront slope across each aperture. Because each eye has different pattern of the emerging light it provides a unique “blue print” for “custom” correction of the aberrations of that particular eye. 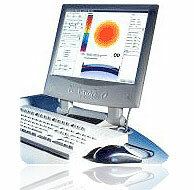 The information from such a measurement is captured on a computer disk to be used by the computer delivering the Excimer laser when that particular eye is treated. At Joseph Eye Hospital we use WASCA analyzer (made by Wavefront Sciences) measures 1400 spots on your cornea-each sample on the eye covers a region of 0.2mm by0.2mm! Compare this to 200 spots in the same (some as few as only 78 spots) area by other systems. This gives finer and more precise details for customizing your treatment. The difference is like listening to digital audio from a CD player compared to the AM radio on an old car speaker. HOW COMMON ARE LASIK COMPLICATIONS, REALLY? If you're like most people considering LASIK, you have a keen interest in what the risks and complications might be. After all, LASIK is an elective surgical procedure with nonsurgical alternatives (glasses or contact lenses) that work just fine for most people. While LASIK is associated with a number of intraoperative and postoperative complications (see tables below), it's important to note that, according to many sources, the incidence of severe, vision-threatening complications is less than 0.1%. Other less serious complications can occur in up to 5% of people who receive LASIK. Almost all LASIK complications, including the serious ones, can be treated and usually resolve within few months of surgery. Rarely, LASIK can cause permanent problems. The largest risk is infection. Because of the chance of infection occurring, all patients are asked to take special care during the initial stages of healing. Though the procedure is an out-patient procedure, we recommend the patient to stay for 24 hours for intensive monitoring, as this is the crucial time for developing much of the complications. The surgeon will give patients a post surgery activity schedule to follow. It is far more common to be undercorrected than overcorrected after Lasik. Large amounts of Undercorrection require a touch up called enhancement, which can be performed 90 days after the initial procedure. initial Overcorrection is usually planned as the cornea has a tendency to bounce back towards its original shape while healing. Near predicted results are achieved at 3 month post operatively and should the patient remain overcorrected, a thin pair of glasses or contacts can be worn, or newer laser techniques can be introduced for the patient to consider. The risk of Overcorrection is extremely low. Many nearsighted patients experience poor night vision with their glasses or contact lenses, and this symptom is not uncommon immediately following surgery. Patients typically report day and night glare or haloes for 3-4 days, and then it will start to clear. After 6 months, the majority return to pre-surgery levels of night glare. Regression is the shift back towards astigmatism or nearsightedness after PRK. In most cases, only a minimal shift occurs and medications can be reintroduced, or an enhancement procedure can be performed. Regression is not common for mild to moderate myopia. Corneal haze is dependent on the way the eye heals. The higher the correction, the more chance of a haze. Usually haze is associated with regression and may disappear with re-treatment. Occasionally the corneal flap which is to be hinged gets completely cut. Usually this free flap is repositioned properly after the LASIK without any ill effects. Surgeons aim for results of 6/6 or better so that you can perform most daily activities without your glasses. However, there is a possibility that after surgery, you may need to wear reading glasses or corrective lenses for at least some activities. Most patients who have LASIK will have better vision without glasses after the procedure, but LASIK does not guarantee perfect vision. Individuals consider the option of refractive surgery and LASIK for a variety of very personal reasons. While LASIK does not promise perfect vision, it does hold the promise of reducing one's dependence on contact lenses or glasses, which will allow many people to more freely pursue their hobbies, sports activities or career options. Sports Enthusiasts - from weekend warrior to professional athlete, many wish to be reduce their need for contacts or glasses for safety or performance reasons. Parents of Young Children - many parents express concern about the safety of their children if they should lose their glasses or contact lenses -- while playing in the surf or trying to escape a burning building, for example. LASIK may even reduce the anxiety produced by simple tasks, like finding one's way through the house at night. Frequent Travelers - for those who spend a considerable amount of time on the road, being less dependent on glasses or contacts promises numerous advantages, from safety (ability to read evacuation signs) to convenience (less to pack). 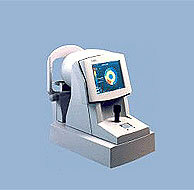 Information for the Carl Zeiss MEL80 was obtained from the published 1 year results of the MEL80 Optimization presented at the ESCRS in Munich in September 2003. 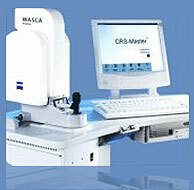 The Carl Zeiss MEL80 is expected to obtain FDA approval in 2005.